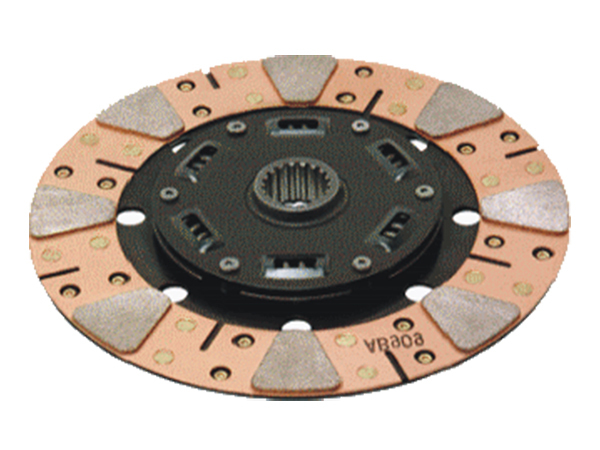 This disc utilizes special facings with ceramic pads, sintered to a full steel ring. The drive plate is designed with a marcel to give a degree of cushioning to prevent an instant shock to the driveline. Do to high coefficient of friction can be used with a stock pressure plate. Specially designed Twin-Retainers™ protect damper springs from both sides and significantly improves safety of the product. SPECIAL ORDER.